Marriage Celebrant Logo brief entailed using an asymmetrical watercolour background with a cursive font. 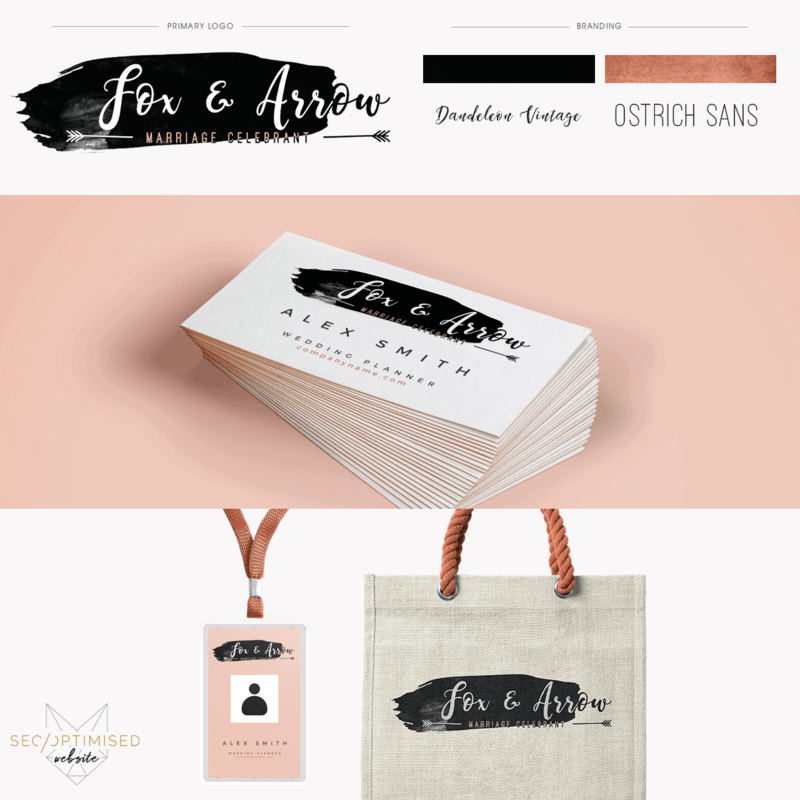 We added some modern elements such as the hand drawn arrows to work in with the company name and the addition of the rose gold fonts at the bottom really make this logo stand out. Our client wanted to stand out from other marriage celebrants who generally go with generic types of logos. The client wanted a super easy going logo that wasn’t restrictive for future growth. Keeping it fresh and modern is a good way to stay current.You can see this design works nicely with business cards and other merchandise. 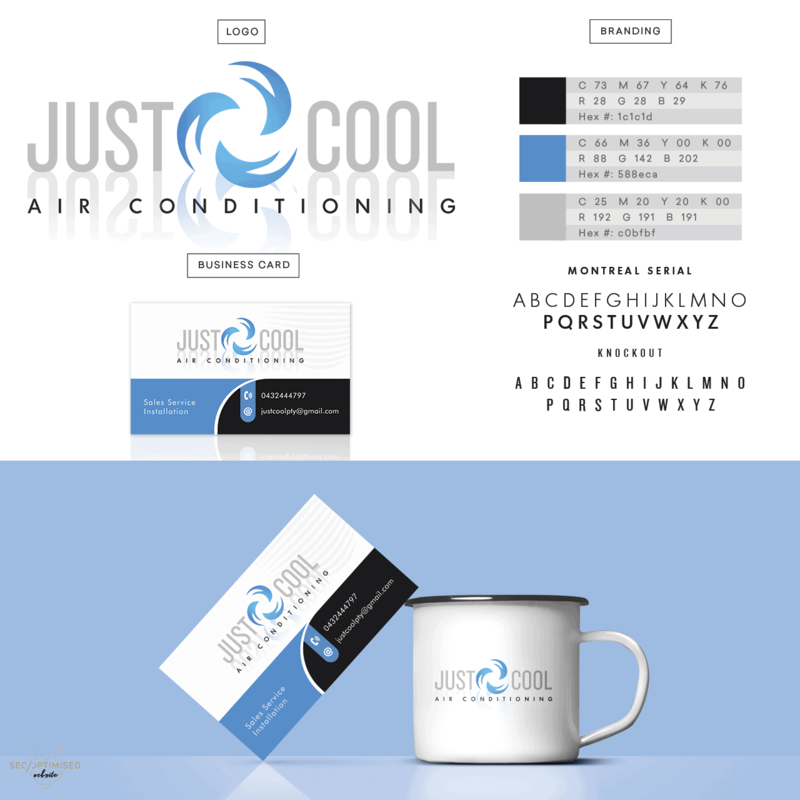 We created this great design for the Air Conditioning Company Logo brief. They wanted a logo that represented a cooling fan using cool colours. The company wanted to be a little bit different to the others on the market and we came up with this super cool logo design for their business. 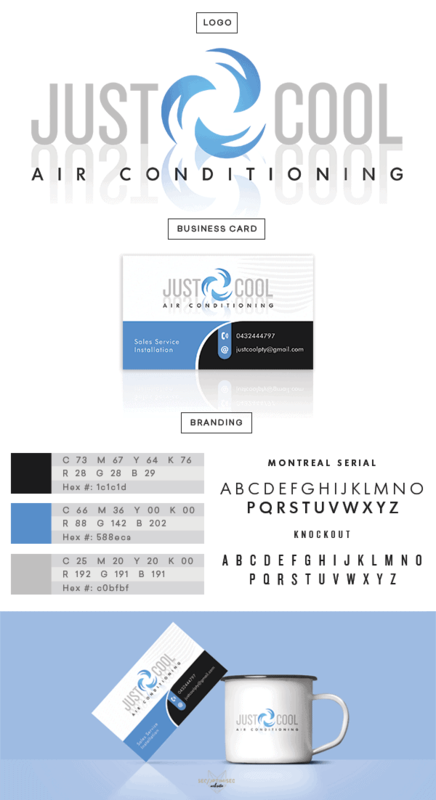 You can see the design looks great on the business cards which were ordered after the logo design. Utilising cool colours, the message is conveyed very well here. Even the shadow gives the impression of shade and coolness which is ideal for an air conditioning installation company. We always listen to the client and understand the brief prior to starting work. 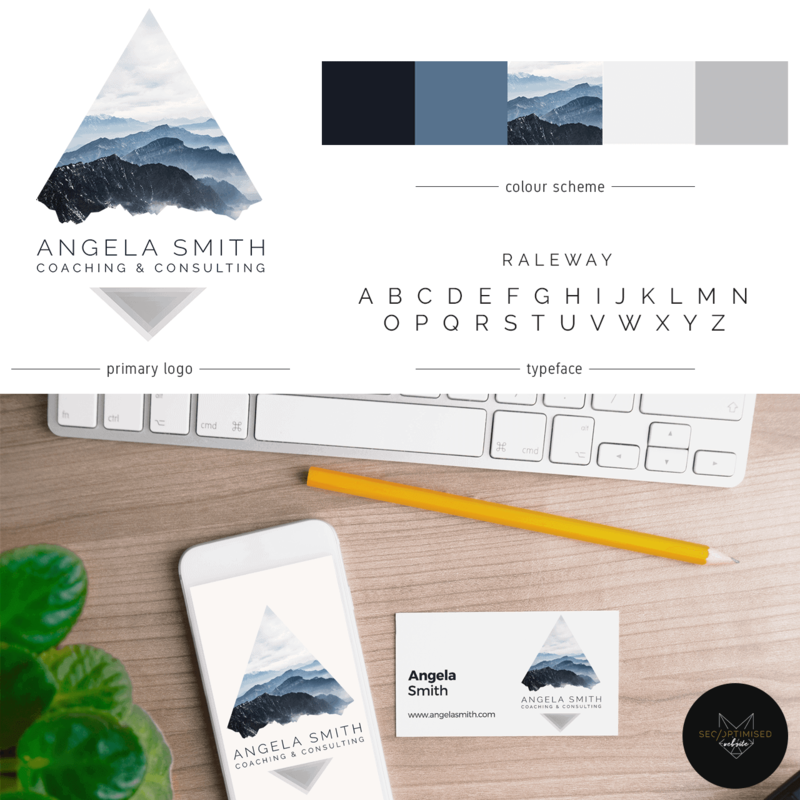 The brief for the Consultant Logo and Business Card Design was an outdoor theme with a triangular shape. The client wanted to combine outdoor elements with geometry. We achieved a wonderful balance with this design. The colours are cool and look good in print or online. 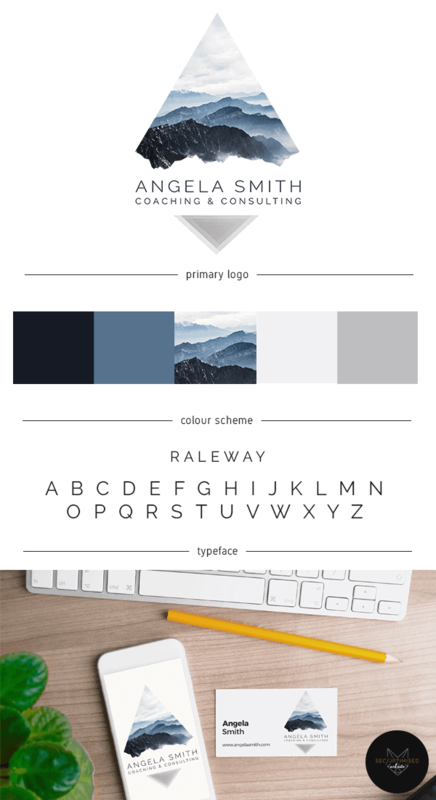 The design is quite versatile and a PowerPoint slide template and other office stationary can easily be adapted using this colour scheme and general design. The elements of nature give the logo a power that is ideal for a consultant. The colour scheme is a good one and would suit website and wold also screen print well onto garments. The colours work really well together and the end result shows a strength and is an ideal way to give a great first impression. The client was very happy with the result and so were we. 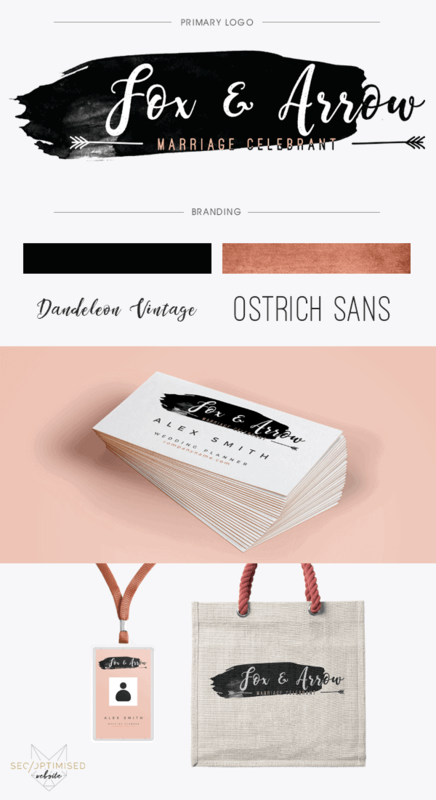 This type of logo would suit many industries and the font is great for any creative design.